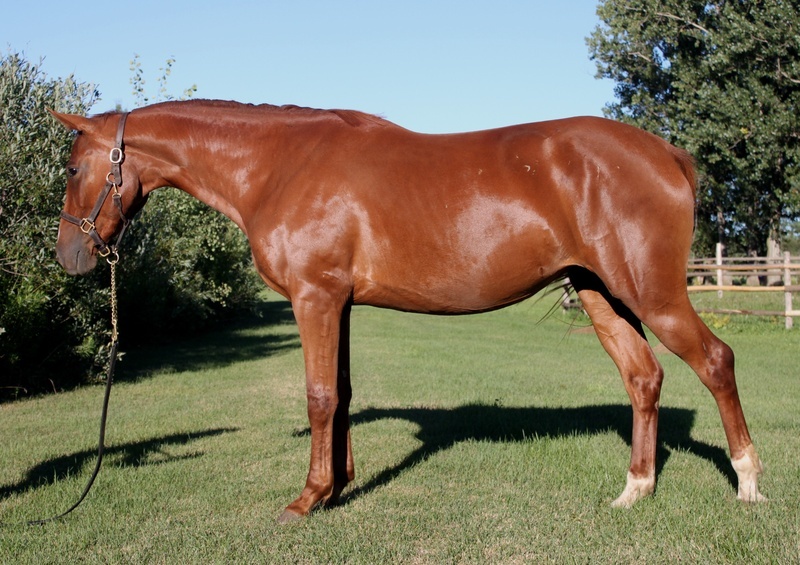 Abigold is a 2009 chestnut by Solid Gold, out of a WB approved mare Abbey. Abigold is papered with the Canadian Sport Horses association. 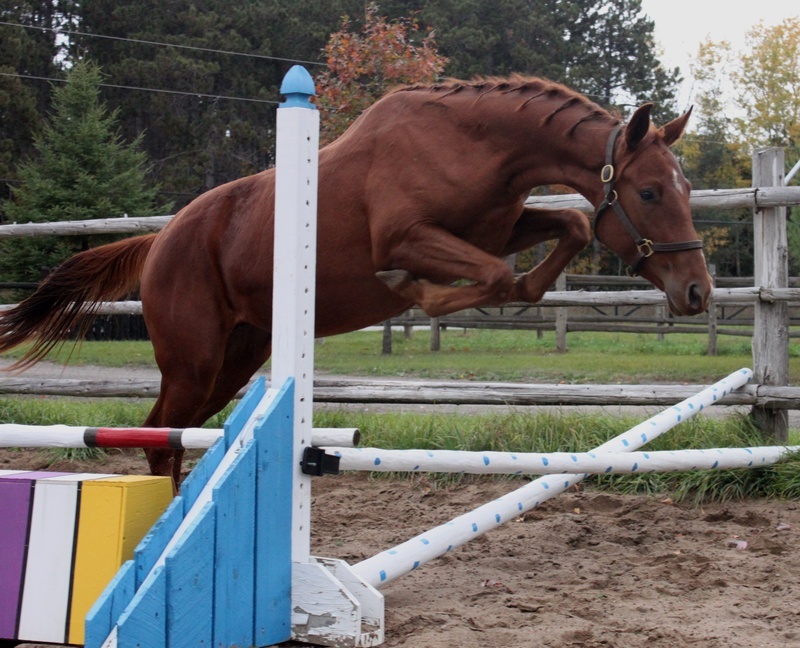 Her sire Solid Gold is out of Riotta by Rio Grande, so she has a fantastic jumper pedigree. Abigold has been handled daily, she picks up her feet, stands for the farrier, and is the first to come over to the fence for attention. She is a fast learner who tries to please and loves to learn and work, she has been lunged with tack. Abigold is confirmationally correct, is currently 15.2h and should finish 16h-16.1h. She is UTD on deworming, vaccines and trims (currently barefoot, excellent feet). She has no vices, injuries or illnesses. Abigold was free jumped for the first time in October 2011, and what a star! She shows natural scope, carefulness with a huge jump, and room to spare. Take a look below at videos of some of her first times through the chute! 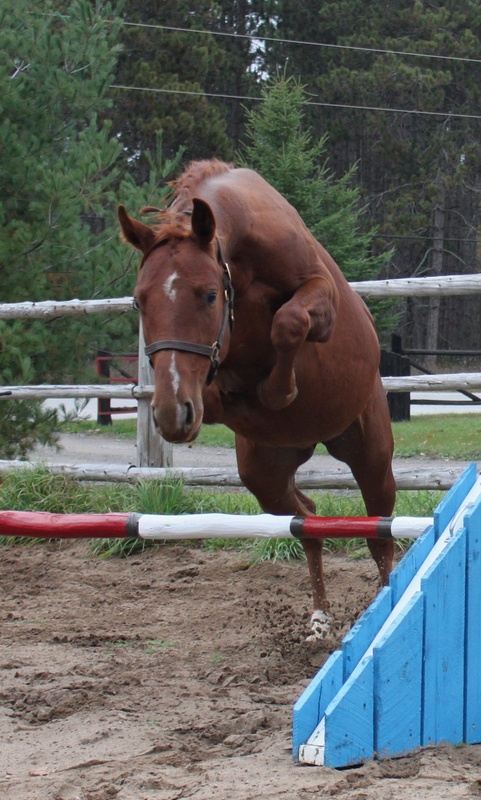 She was free jumped again in December 2011 and showed how willing and eager she is to jump. She is brave, jumped a tarp and barrel without any hesitation.